Serving the Okanagan since 1995. 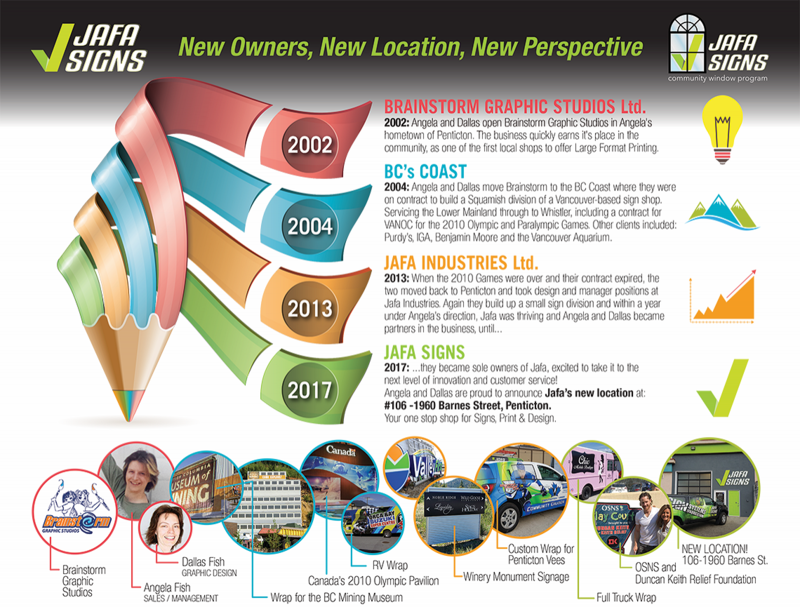 The JAFA Signs crew includes award winning graphic designers, sign manufacturers, 3M Preferred and certified vinyl installers with a dedicated sales staff with individual experience of over 20 years each in the Sign and Vehicle Graphics Industry. Fully staffed and ready to assist our sales team will meet you on site to discuss your next sign project. JAFA Signs will be happy to provide your company with Unique Signs, Planning Options, Design Concepts, Permits, Fabrication and Installation services. Using only premium products, professional designs and our ongoing commitment to quality our customer’s expectations are not only met, but exceeded. Competitive pricing, professional graphic design services, new and innovative products, quick turn a-round, on site sales representatives, in house fabrication and delivery on time. Owner, Project Management, Sales and Lego nut. 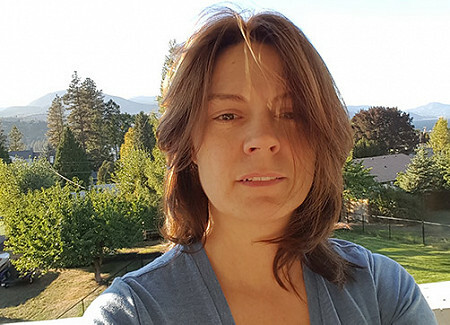 With over 18 years experience in signs and marketing, Angela is your "go-to" on any sign project! 3M Advanced Trained. Owner, Art Director, Large Format Print Specialist, and Spider-Man comic collector. 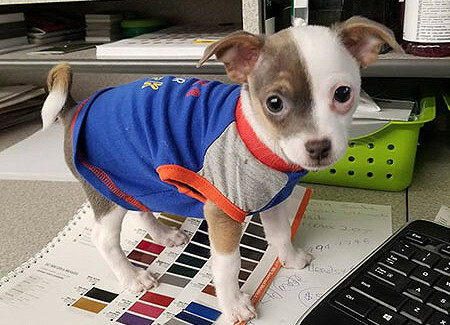 With a degree in graphic design and over 27 years experience in the sign making industry, Dallas will work with you to create the image you want for your business. 3M Advanced Trained. Kate has been designing and producing sign systems with Angela and Dallas for over 15 years. Specializing in channel lit signs, unique designs and illustrations. Avery and 3M Advanced Trained. 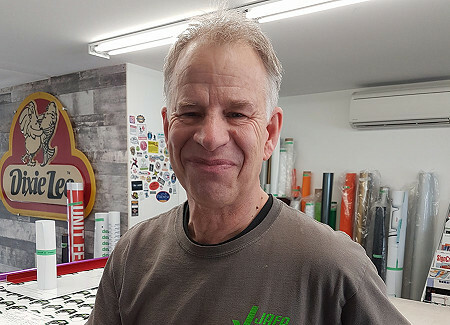 Martin has been installing Vinyl and Signs in Penticton for over 20 years. Catch him installing 3D Signs or SAILING on the lake! 3M Advanced Trained. Our perfectionist and quality controller! Pumping out 100's of signs a week. We love our Rose. 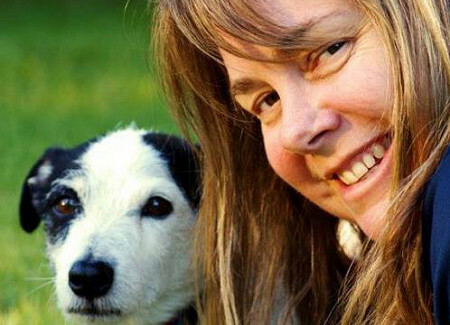 Previous Owner of Back Alley Design, Paula's been with JAFA for over 9 years. She is creative, loves to paint and makes jewellery. She is also Dallas's bestie, so we know she has impeccable taste. 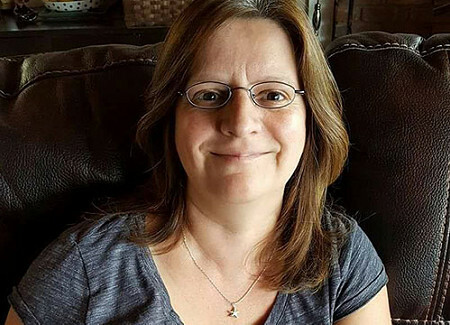 Lynn has been with Jafa for 6 years as our trusted bookkeeper and bean counter. She's an avid hockey mom and Streisand fan. Scott has had 30 years in the sign trade. He loves installing creative, eye catching illuminated sign systems. Avery is always hard at work making our clients happy! 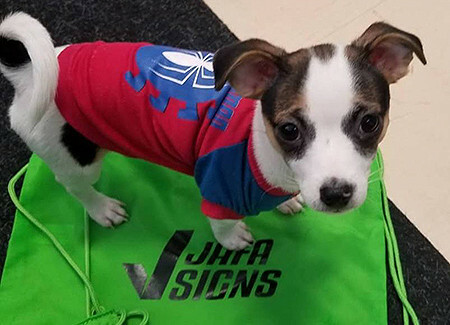 Named after his favorite super hero, Parker is Jafa's newest customer service rep.
"It is the intention of JAFA Signs and its employees to work together to provide innovative solutions, high product quality and superior customer service." Our community has been incredible to us over the past 23 years, and we're giving back! 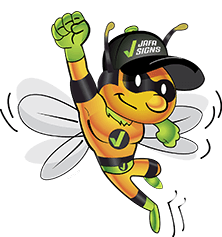 Each month JAFA Signs will randomly draw from applications and provide a custom window-wrap valued up to $2,000 to help an organization deliver any message you want – from fundraising, to celebrating volunteers or promoting a key event or program. On the first of each month we will draw from new applicants. Each applicant can remain in the drawing pool for 12 months. Applicants can only win once. 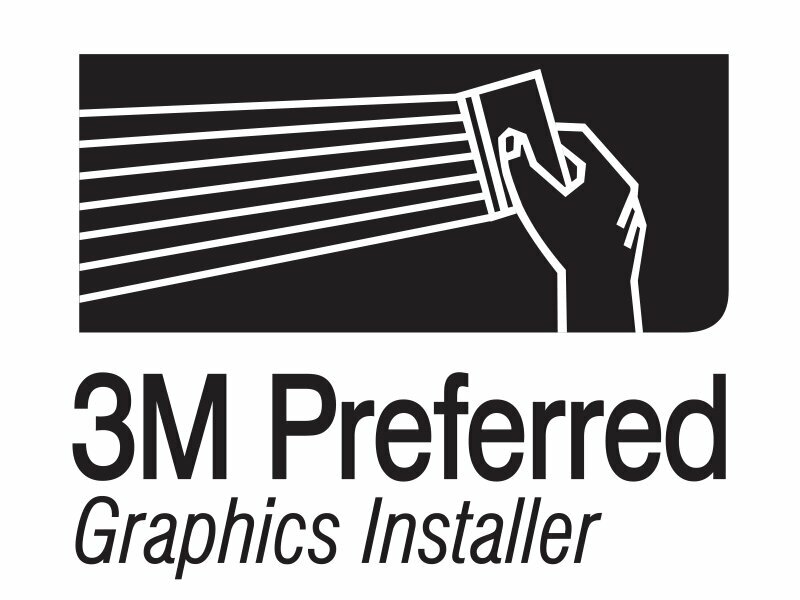 Each window will include the JAFA Community Windows Graphics Program logo.